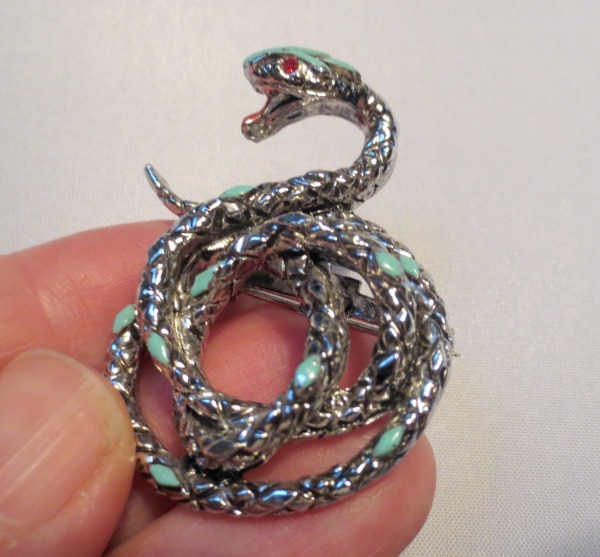 Once in a while I buy things on eBay to resell in my Etsy store. Most things I buy with 100% certainty that I will make a good profit. But not always. Sometimes I gamble…a bit! 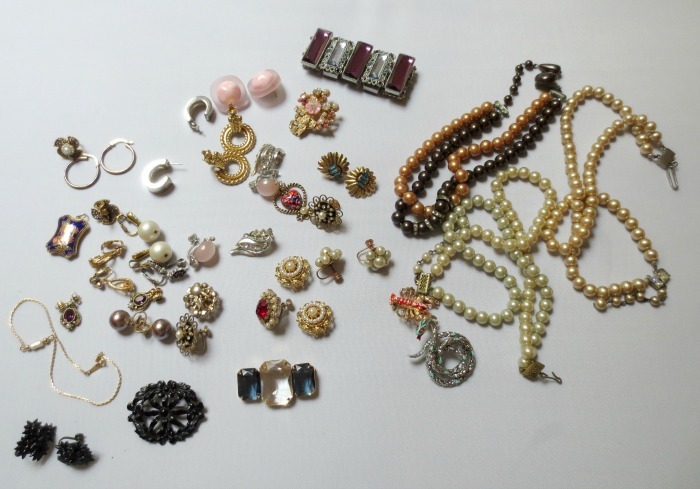 A few days ago I saw this vintage jewelry lot on eBay that had an opening bid of $9.99. 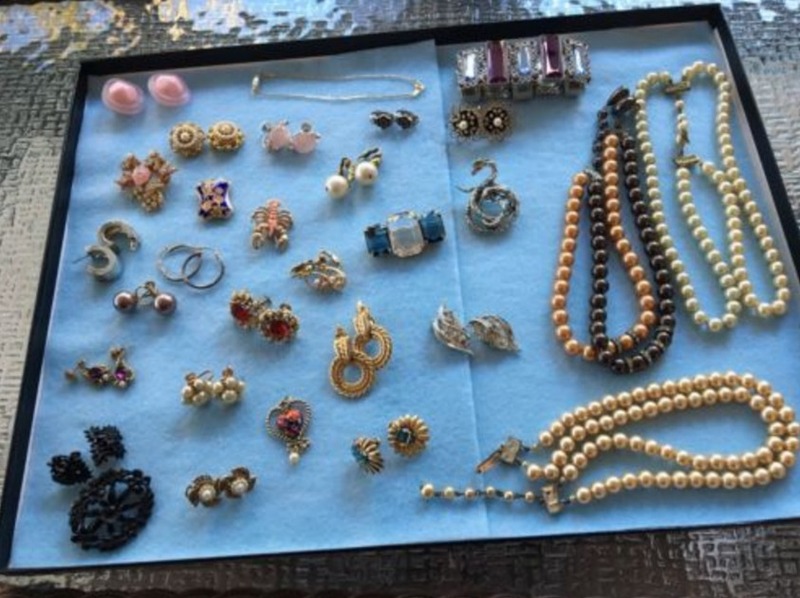 Unlike the sealed jewelry jars that thrift stores sell, or the massive online jewelry lots with items all jumbled together, I could see all the pieces in this lot and there were quite a few things that interested me. As the end of the auction neared, I decided to place a bid and won! The package arrived yesterday and I was on tenterhooks opening it…would I be happy with my purchase or disappointed? You know that feeling! Here it is all unwrapped and dumped unceremoniously on my table. Thankfully most of this is in good condition and sellable. There are at several signed pieces (Sarah, Avon, Trifari, Lisner, Ban-Rol and Coro) and the hoop earrings are sterling silver. The three mid-century faux pearl necklaces have a nice weight and feel. 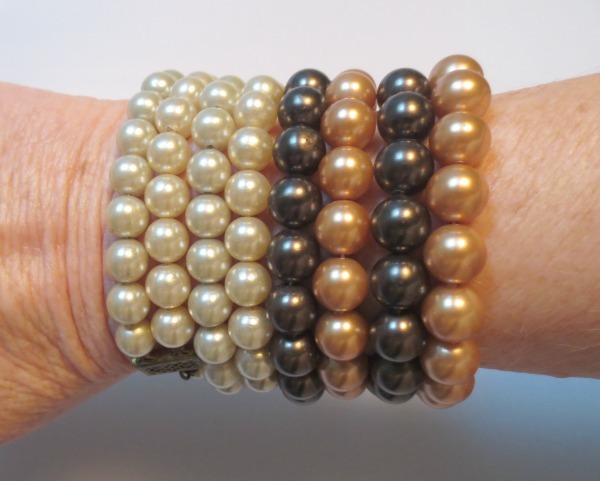 I wrapped two of them around my wrist to see if they would work for impromptu bracelets…and they do! 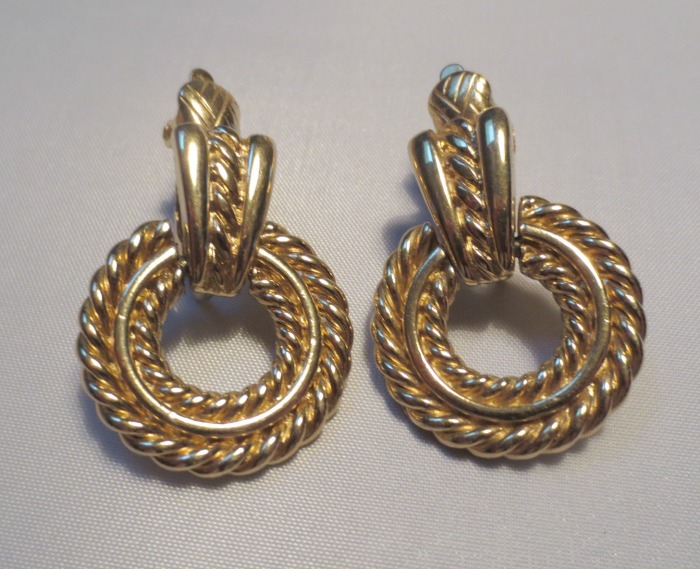 I think these gold-tone Trifari clip-on door-knocker earrings are quite handsome and very wearable. 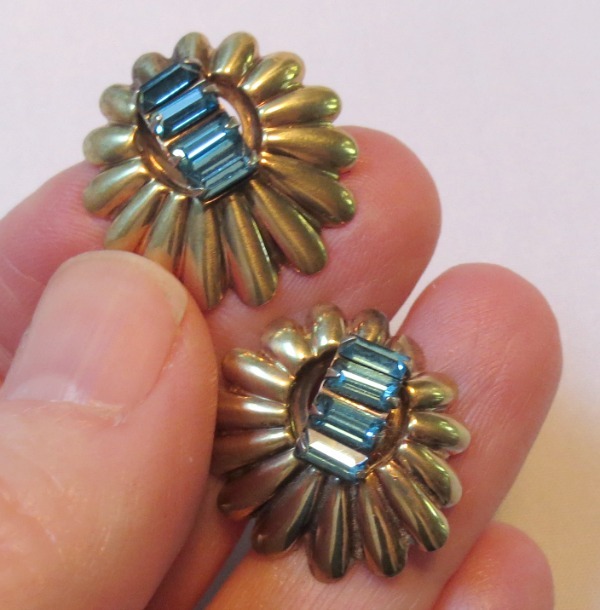 I didn’t remember seeing these Ban-Rol gold-filled earrings in the listing photos (though they were there!) so they were a nice surprise. 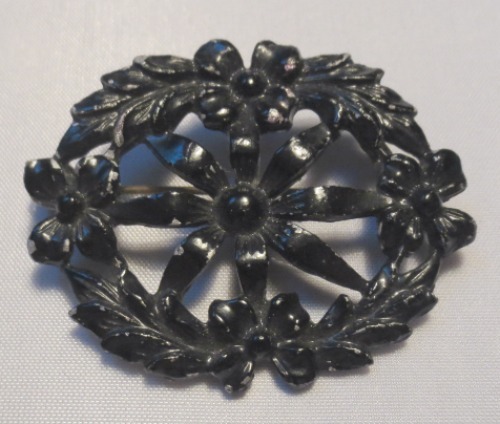 I had spied a black mourning brooch and earrings and was curious to see what they were made of. Was hoping for jet or even bog oak or vulcanite. Alas, the earrings are celluloid and the pin is painted metal. It has a C-clasp and shows a bit of wear, but most mourning jewelry is better quality than this. The best is beautifully done in real gold, gems and pearls. Perhaps this was worn by the poorest folks in Victorian-era society? Anyway, those are a few of my favorite pieces from the lot. As to be expected there were some duds! 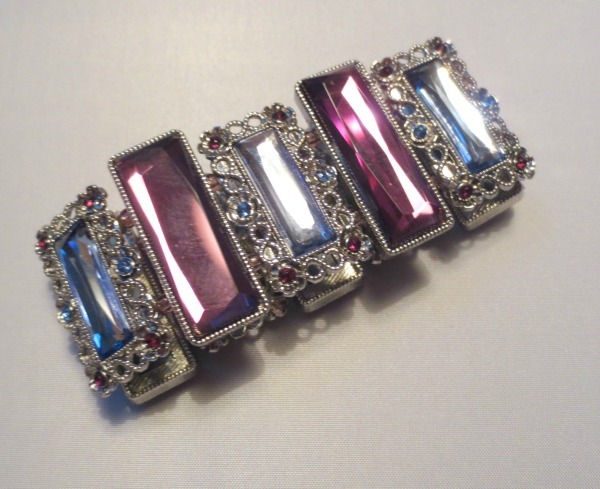 Like this bracelet. It’s not vintage and it’s very cheaply made. More like a girl’s play jewelry. This I’ll be donating along with a few other things. But overall I am very pleased with my gamble. Most things in the lot are quality vintage costume pieces with a lot of style and wear left in them. Hoping to add these to my Etsy store this week. Happy hunting everybody. 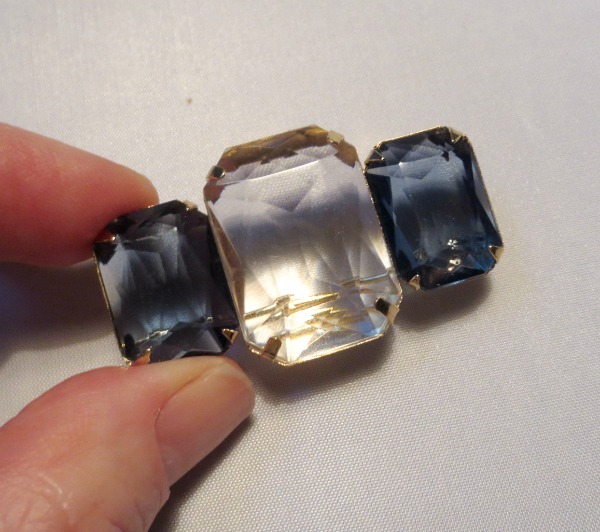 And if you’ve ever bought a jewelry jar or big lot, I’d love to hear how it went for you…any treasures?? Nice finds but as I was reading I was really hoping that the bracelet was something! That would’ve been so cool!